This form of surgery is ideal for individuals who do not feel like they need or want a full face lift, but have noticed changes to their faces (like sagging skin around the jowl area) that they would like to alter. The 'one stitch face lift' is the latest in facial rejuvenation and can be performed without the need for general anaesthetic. This procedure offers patients the chance to achieve a fresher more youthful, lifted look without having a full face lift. The 'one stitch' procedure is less invasive than that of a full face lift and can be carried out under local anaesthetic which reduces many of the risks associated with surgery. 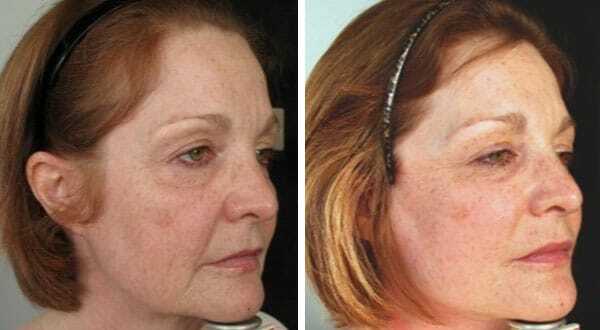 It has more subtle results than a face lift yet uses a similar technique to achieve a firmer appearance. This procedure only takes approximately forty five minutes to perform and recovery time is fairly swift which means that patients can get back to normal quite rapidly; patients can usually go back to work within 3 to 7 days. 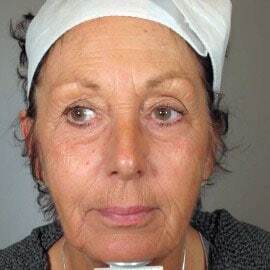 I was first introduced to the idea of the technique by Mr Paul Levick, a Plastic Surgeon colleague of mine who had used it for many years in retightening facelifts. I then came across a modification of the technique by Dr R Calambria, a Beverly Hills Plastic Surgeon who made use of the skin that is normally discarded to provide a stronger and more lasting effect. I have since modified it myself by using a barbed suture(thread) which provides better tightening of the skin without the need for knots. This allows easier stitching, less puckering and fewer problems with the knots from traditional sutures. This is a great procedure for patients concerned about downtime. It is performed under local anaesthesia, takes less than an hour to perform and patients can return back to work between 3 to 7 days. 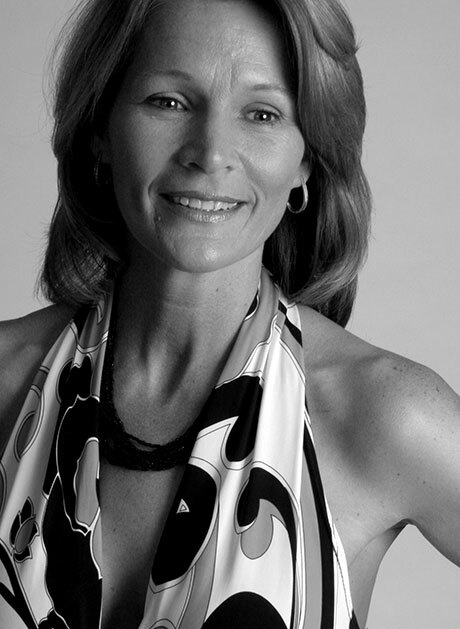 The scars are well hidden within the hairline and the risks of complications are minimal compared to a full facelift. 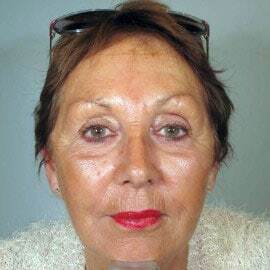 The results are immediate but subtle and effective in lifting and tightening the skin along the cheeks and jawline. 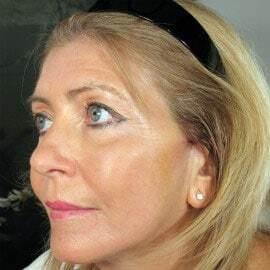 Combined with Botox to lift and smoothen out lines and dermal fillers to replace volume loss, the one stitch facelift is even more dramatic in completing a true non surgical facelift. i was honoured to have been invited to speak on my one stitch facelift at the inaugural meeting of the European College of Aesthetic Medicine and Surgery(ECAMS) in November this year. The meeting was held in the beautiful city of Barcelona where I had the opportunity to exchange ideas and learn from colleagues from around Europe. Interest in the technique was keen and I had many requests for visit to the clinic to observe the surgery. I may organise some training sessions in the New Year. On the day of discharge the pressure garment and drains are removed and a gentle hair wash will be done. Hair can be washed as normal after this. No restrictions but avoid strenuous activities for about the first 2 weeks. Moisturise face and neck religiously. 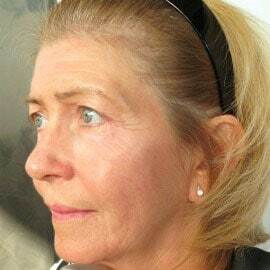 "I had a blepharoplasty and One Stitch Facelift mid 2012 by local anaesthetic with Mrs Kat. I am delighted with the result and the staff..."